Companies come to Cado — and have been coming to Cado for more than 50 years — to leverage our advanced expertise in product design. 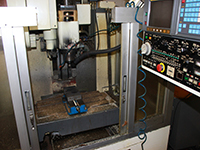 Our long history of providing blow molding and injection molding solutions have positioned us as not only design experts, but master troubleshooters. We are skilled at spotting problems before they occur, saving your company valuable time, resources and expenditures. Possibilities for your product need not be limited by resources and materials. 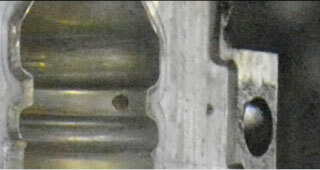 We are skilled in steel, aluminum and beryllium substitute molds for plastic blow and injection molding. Honed expertise, coupled with varied experience in mold making and organizational excellence deliver results in the form of customized solutions. We pride ourselves in giving the best molding solution in the industry for your project. 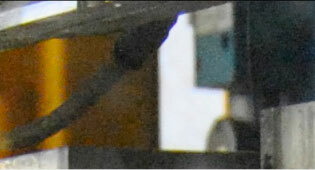 Cado Company’s core business is mold making, and it has been that way for more than 50 years. All efficient production runs begin with a strategically designed and well-made mold. Our goal is not just to produce the best mold on the market, but also to exceed our customers’ expectations by matching their needs with the best molding methods in the industry. We are committed to helping you achieve the best result, and that begins long before a production run. Cado Company first provides evaluations and recommendations, material sampling and consulting, mold tests, and product sampling. 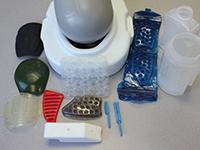 Cado's blow molding and injection molding services are diverse and always growing. Our experience with various materials, techniques and best practices provide a steady foundation on which to base your company’s molding needs. Your ideas, our expertise together the possibilities are limitless. We welcome and foster collaborative relationships and your input is valued. Working together, we hope to free up technical molding problems or capacity challenges that have hindered your product launch or held back product distribution. We've worked hard to ensure our blow molding and injection molding machinery base is the best around — and the most diverse. This offers our clients the best variety in terms of pricing, production and capacity options. It’s this wide range of flexibility and capability that guarantees your business will get custom results, whether we use your mold or ours. Let us review your requirements and provide you with a proposal. Together, we can find solutions that suit your company’s molding needs. We welcome production runs in all shapes and sizes, including small ones. Small production runs can benefit your bottom line when you are testing a new product’s ability to sell, fine-tuning design elements, or just need a smaller number of products. Cado does not lock your company into a minimum run amount like other molding providers do. The number of products your company makes is up to you. Our goal is to accommodate your needs — and it’s the basis for the hundreds of business relationships we’ve built over the years and continue to foster today. We may even suggest a smaller run as we consult with you initially on your production goals. As your business grows, or your production needs expand, we’re more than equipped to take you right through to that phase, as well, with advanced technology and superior customer service. With a diverse machinery base such as Rocheleau, Hayssen and Impco, Cado ensures your production runs are of the highest quality and efficiency. Our custom molding production capabilities range from commodity to engineering grade resins for high and low volume products to projects with very challenging geometry, design, and quality requirements. We provide dependable solutions for our customers! 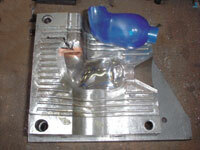 Cado Company designs and produces our customers’ molds in-house. 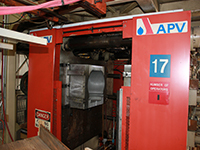 Repairs and maintenance are provided in our fully equipped machine shop. 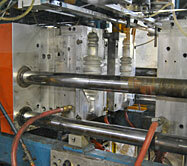 We also provide mold design services as well as complete mold making with the use of our high precision CNC machines. Cado Company masters the art of custom mold design, custom mold build services, blow molding production and injection molding production. Our customers represent a wide range of industries.